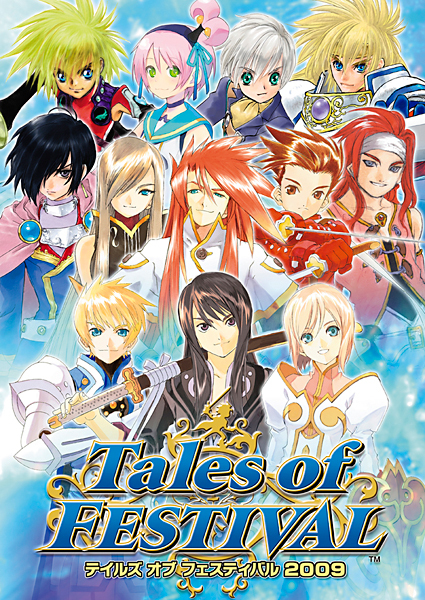 Following on from our previous post about BACK-ON‘s live gig at the 2009 Tales of Festival, it turns out that Namco Bandai will be releasing a 2-disc DVD of the event for fans on October 2nd 2009, featuring BACK-ON‘s live rendition of Re:Start and flyaway, the theme songs from Tales of the World : Radiant Mythology 2. With warm thanks again to MONSTERSNITE for the news, it is probably the first time the band’s live performance of any of their songs has been released as a DVD! We have seen a few standalone recordings (on Youtube) and even in the BLAZE LINE PV, but nothing like this, although some of us BOO Forum folk would love to have a dedicated DVD! This is a “set” in that it contains two DVDs, one each for the afternoon and evening versions of the June 14 show. Buyers can look forward to talk shows and skits, much of which differed depending on the showing. In addition, the set will include bonus promotional footage, specifics about which have yet to be shared. I only wish that the release date wasn’t so far away, but at least we have got BACK-ON‘s European debut at Connchi in Germany to look forward to in September. And before I forget – if you haven’t already heard – we are organising a GIGANTIC FANBOOK PROJECT for the band by fans. All ideas and fans are welcome so please do come and participate if you can!